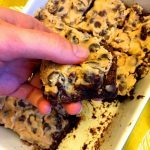 Cookie dough and brownies are two of my absolutely favorite dessert items, so this recipe that combines both had my heart aflutter. These Cookie Dough Brownies are seriously addictive! You’ll be sneaking to the kitchen to snack on this dessert all night, so proceed with caution! This treat is dangerously delicious! Layers of cookie dough and brownies make this dessert simply irresistible. I can’t get enough! After trying this recipe, I was dreaming about Cookie Dough Brownies every night! My mouth is watering just thinking about this recipe! I’m using my epic brownies recipe for the brownie base, and the edible cookie dough for the top layer. These cookie dough brownies are amazing! One bite of these Cookie Dough Brownies and you’ll be in love. They are so delicious and full of chocolate-y goodness. They satisfy any sweet tooth craving! This dessert looks time-consuming to prepare, but is easy to make! 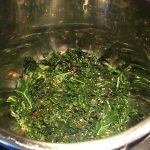 Taking just forty minutes in total and ten minutes of preparation time, this recipe makes homemade easy! No need for store-bought treats, with this easy recipe you’ll be bringing delicious, homemade Cookie Dough Brownies to every gathering. I’m obsessed with the layered decadence of this recipe for Cookie Dough Brownies. Layers of brownie and cookie dough make for a rich and flavorful dessert. This recipe starts with a brownie layer that is baked first. Once the brownie layer cools, you add a cookie dough layer on top and slice your brownies into squares. Each bite is a perfect mixture of delightful dessert favorites. Cookies, great. Brownies, amazing. Put them together and you have perfection! 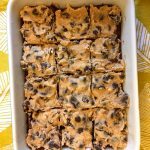 If you share this dessert with family and friends, be prepared for rave reviews These Cookie Dough Brownies would be a hit at any social gathering. They are decadent and delicious, chewy and full of flavor. 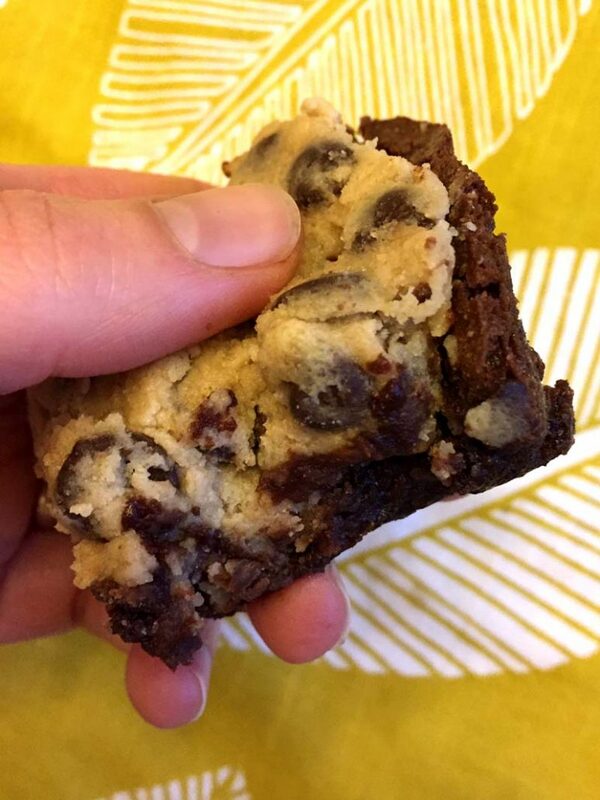 Rich and decadent, everyone will be begging for this Cookie Dough Brownie recipe. This dessert is perfect for sharing and is so good you’ll want to tell everyone about it! I love how this recipe combines two popular desserts. 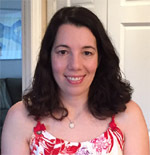 It is such a new take on classics! 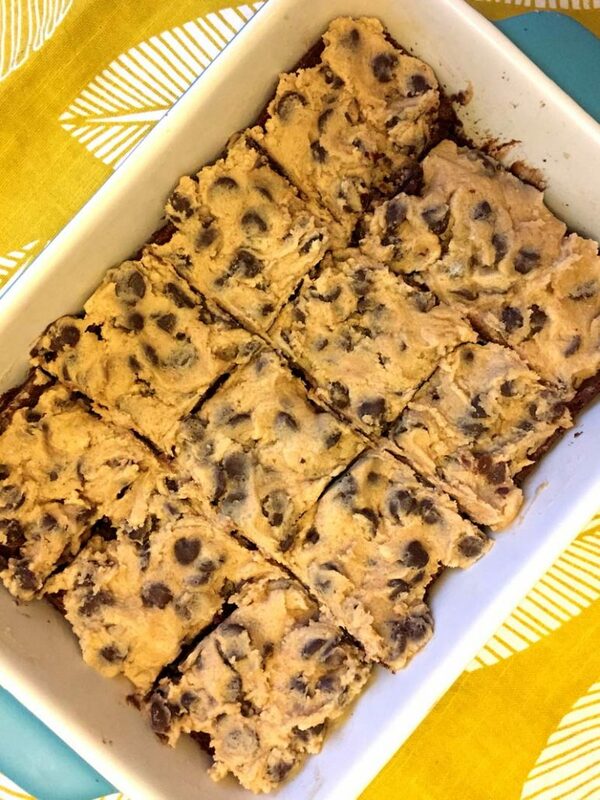 The only thing better than brownies are brownies topped with cookie dough. 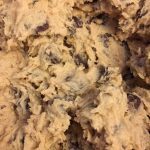 This is the perfect way to enjoy that cookie dough flavor everyone is warning you not to eat without cooking. 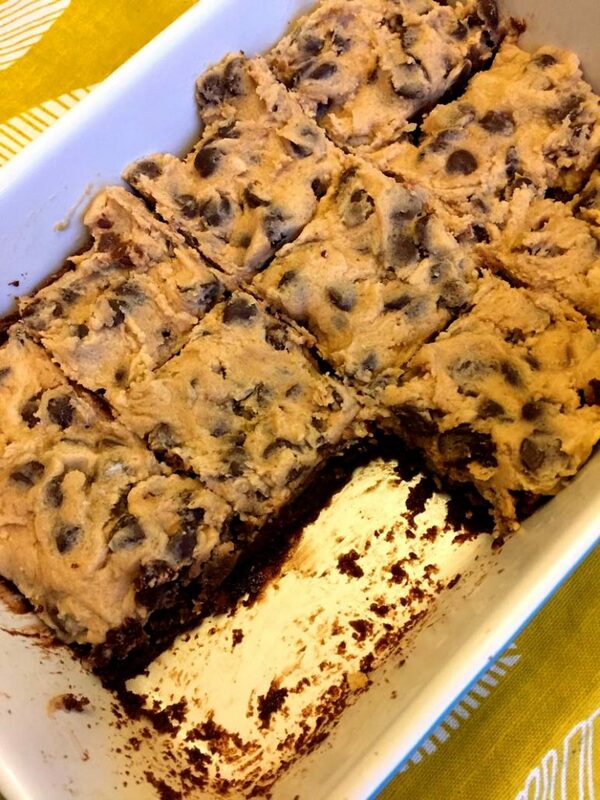 These Cookie Dough Brownies are paradise in a pan. I love the delicious combination of brownies and cookie dough. Chewy and sweet, this recipe is melt-in-your-mouth incredible. You’ll love the sweet cookie dough layer atop the rich brownie layer. Saying it is delicious just doesn’t do the recipe justice! Dessert is always good, a double dessert?! That is incredible! 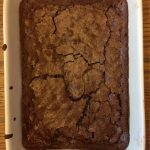 Best Ever Brownies – want to make a regular brownie without the cookie dough? This is the only brownie recipe you’ll ever need! Cookie Dough Truffles – edible cookie dough on the inside, chocolate coating on the outside, these cookie dough truffles are irresistible! Double Chocolate Chip Cookies – the best cookie for chocolate lovers! Gooey brown chocolate cookie with more chocolate chips throughout! Oreo Truffles – are you an Oreo lover? You are going to love these truffles! Super easy to make with just 2 ingredients! Flourless Chocolate Cake – need to bring a dessert for your gluten-free friends? This flourless chocolate cake will be your go-to! These cookie dough brownies are amazing! Perfect brownie layer on the bottom and edible cookie dough layer on top! 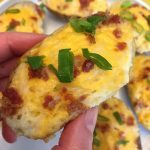 So easy to make and always a hit! Preheat the oven to 350F. Spray the 9x13 inch non-stick baking dish with a non-stick cooking spray. Put the butter in a microwave-safe bowl and melt the butter in a microwave. Add the cocoa powder to the butter and mix with a spoon until combined. Whisk the eggs, sugar and vanilla in another large bowl. Add the butter and cocoa mixture to the egg and mix so everything is combined. Add flour, salt and baking powder and stir until just combined (don't overmix). Pour the brownie batter into the baking dish, put in the oven on the middle rack and bake for 25 minutes. Put softened butter, white sugar and brown sugar in a large mixing bowl and mix with a mixer until combined and fluffy. Add water and vanilla and mix until combined. Add the chocolate chips and stir them in with a spoon until incorporated. Let the brownie layer cool completely. 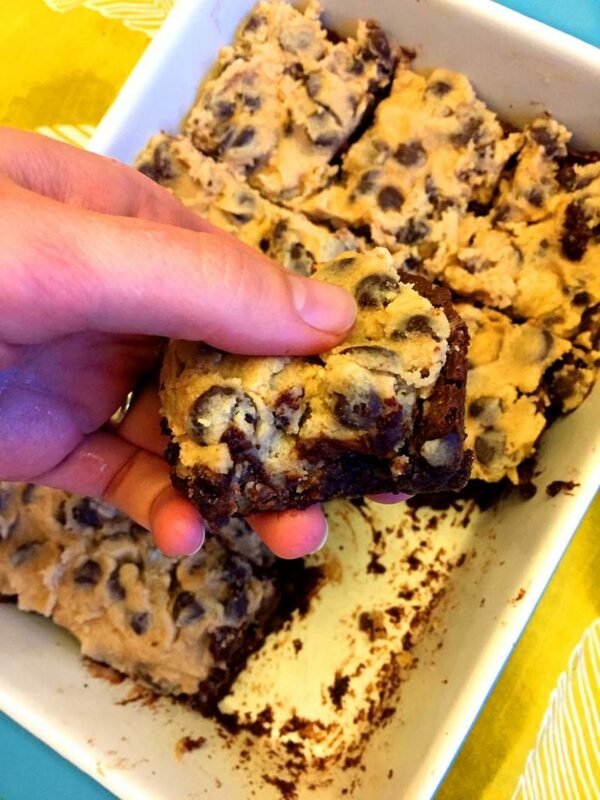 Spread the cookie dough on top of brownies. 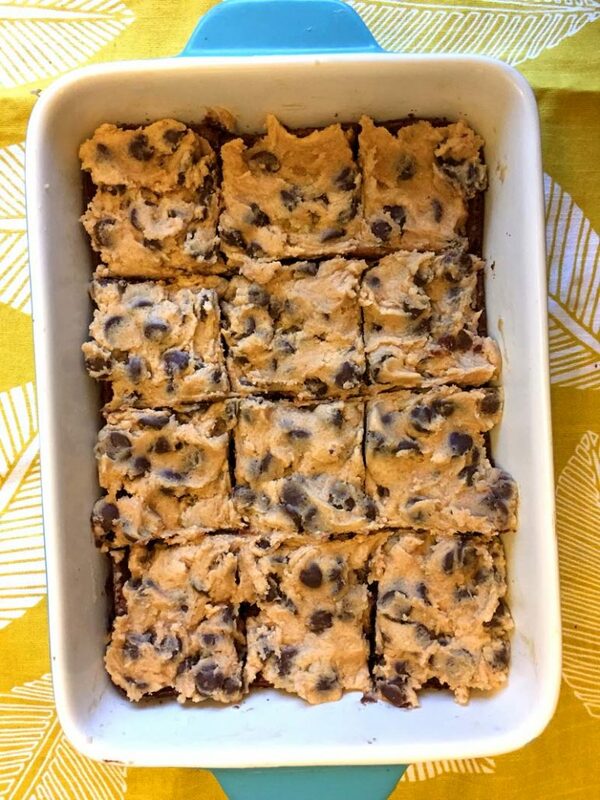 Cut the cookie dough brownies into squares and serve.